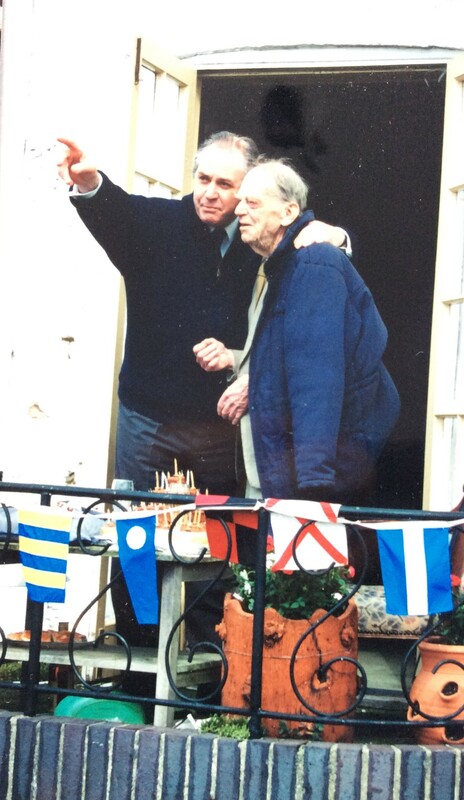 On 16th April 1995, a party was organised to celebrate Rear Admiral John Lee Barber’s 90th birthday. 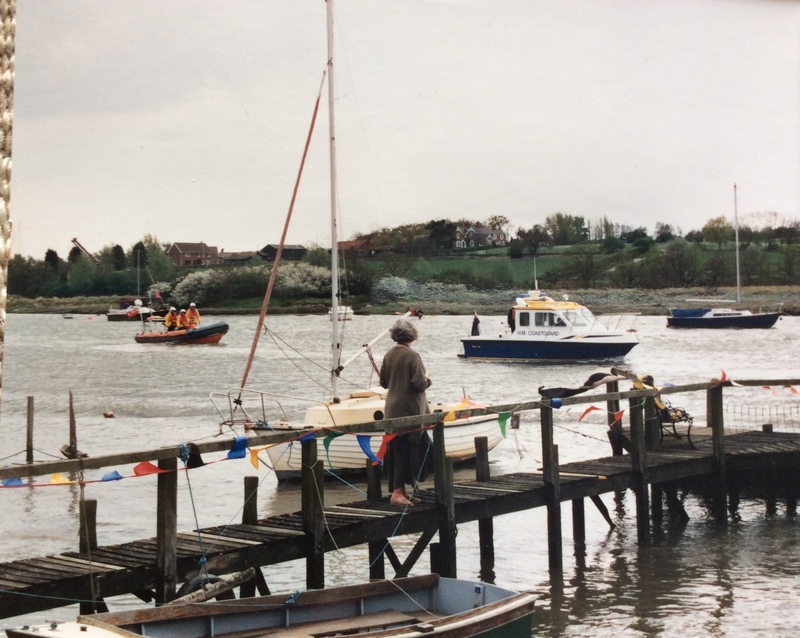 A band had been arranged and also a Sail Past on the River Colne. 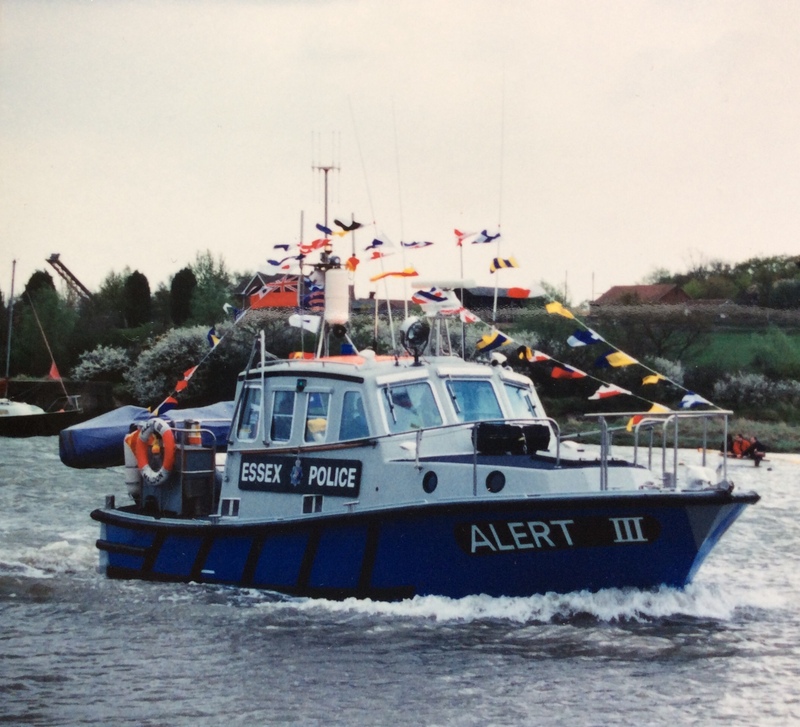 This comprised the Essex Police Launch, West Mersea Lifeboat and also boats from Wivenhoe Sailing Club as well as the Wivenhoe and Rowhedge Yacht Owners Association. 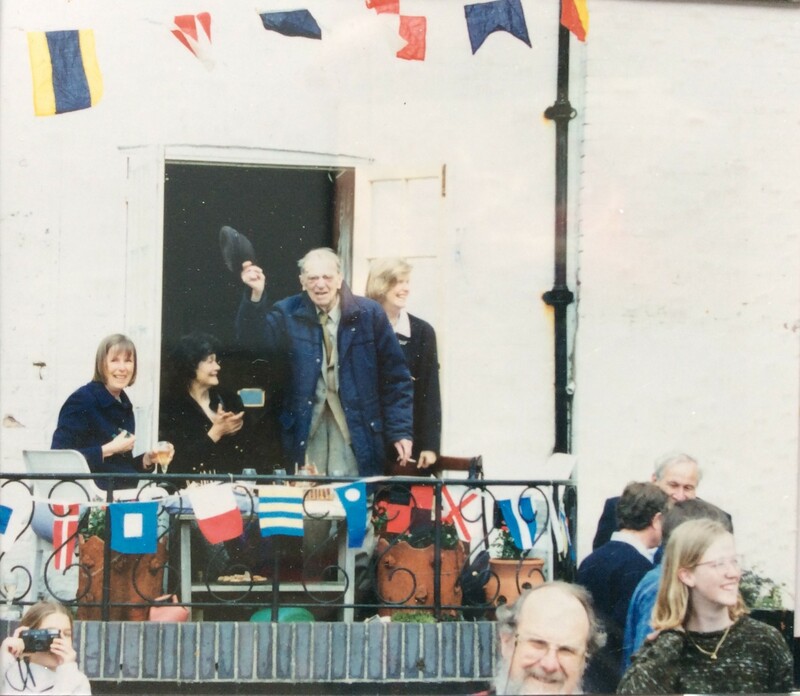 Rear Admiral John Lee Barber, known locally and with great affection as the ‘Admiral’ took the salute from the balcony of his home, Ferry House, on that part of Wivenhoe Quay up near The Folly, on the corner with Bethany Street. 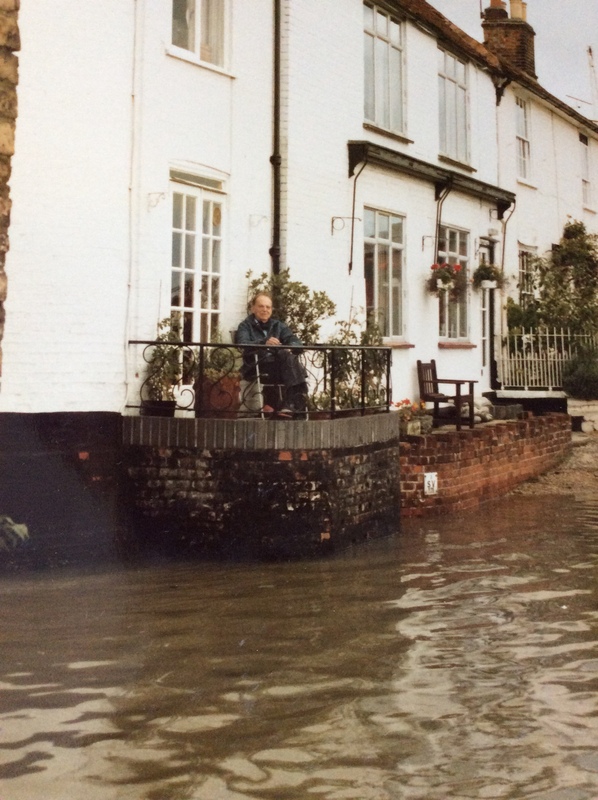 His next door neighbour, Sarah Scattergood, had baked him a cake especially for the occasion. 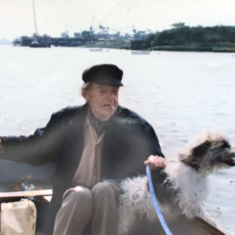 John Lee Barber was a familiar figure in lower Wivenhoe and on the river. 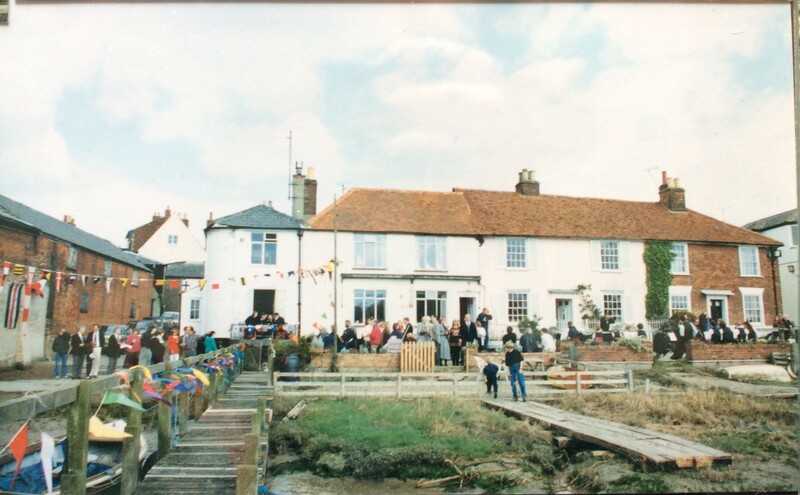 He came to Wivenhoe via the island of Jersey where he had settled with his wife who was born there. 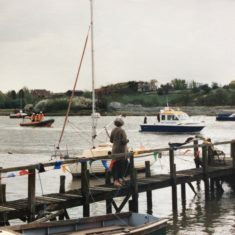 When she died in 1964, he came to live in Suffolk in the villages of Harkstead and Holbrook, before eventually settling in Wivenhoe. 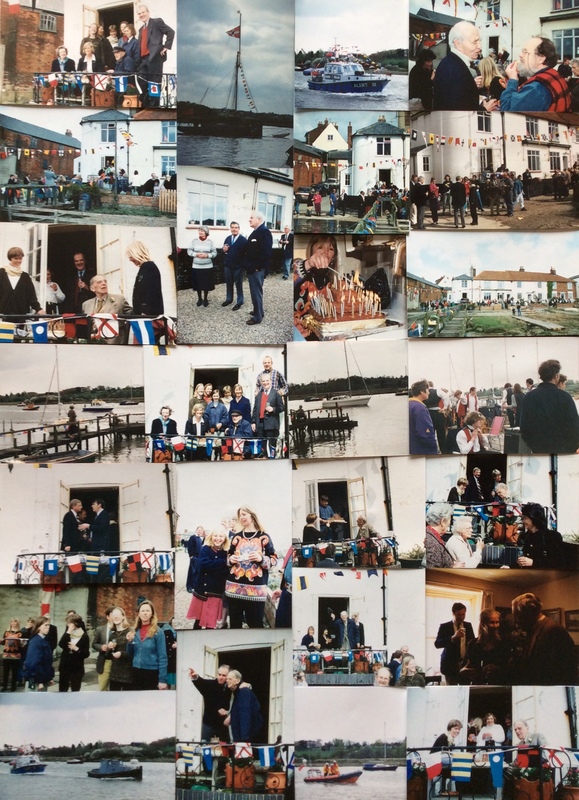 He enjoyed his 15 years in Wivenhoe where he was a character. 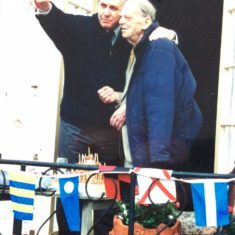 Not long after his birthday, in September 1995, he moved to Hampshire to be nearer to Victoria, one of his two daughters. Sadly, he died in November 1995. 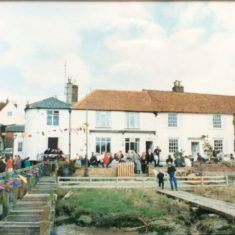 His funeral service took place in St Mary’s Church, Wivenhoe. 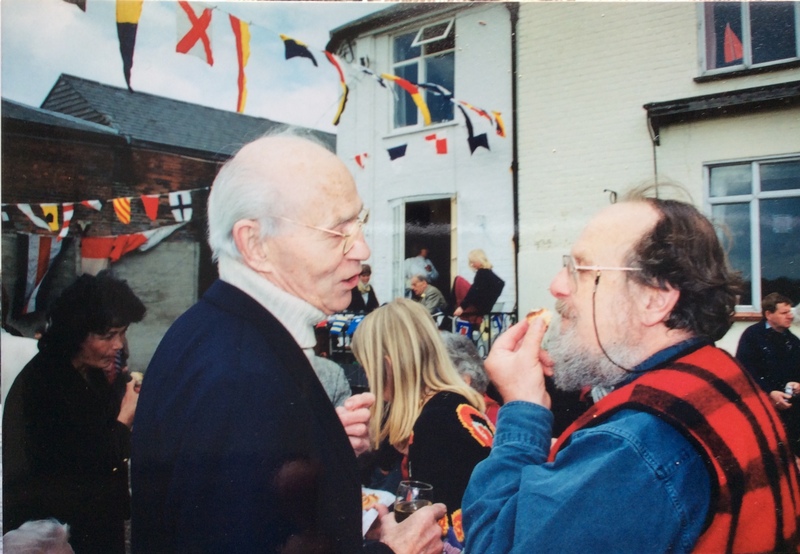 Rear Admiral John Lee Barber DSO CB had a distinguished naval career which is summarised here. 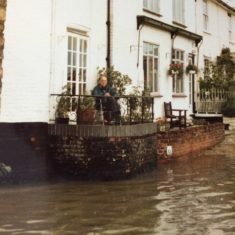 A road in what is called the Port development, near to Wivenhoe’s railway station, is called Admiral’s Walk after John Lee Barber. 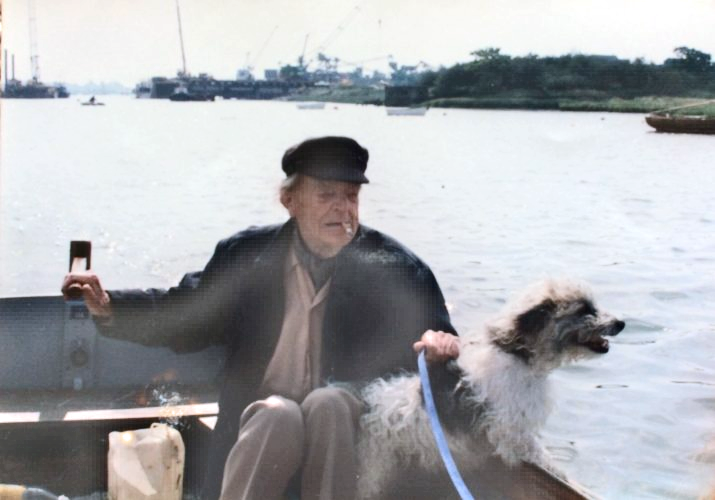 John Lee Barbour in his launch on the river with Mike Downes's dog Ben. 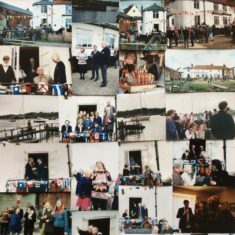 John Lee Barber 90th birthday celebrations - montage by his daughter Victoria Harrison. 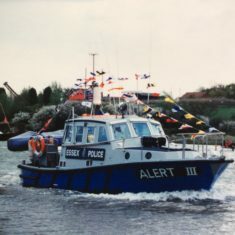 John Lee Barber, Rear Admiral takes the salute. 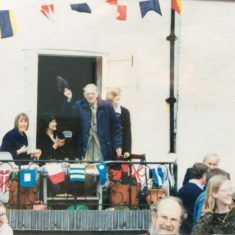 Daughter Sarah is on his left and his other daughter Victoria is standing behind him. 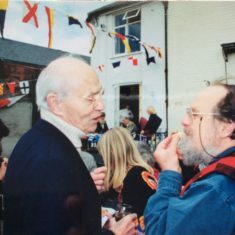 John Lee Barber with Brian O'Dell on his 90th Birthday.